If you liked this show, you should follow Starseed Radio Academy. 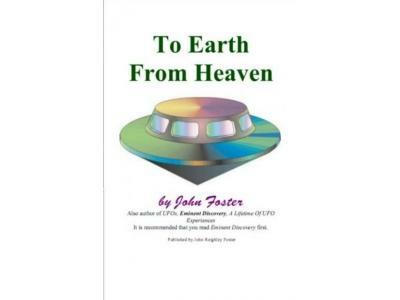 Guest host Anastasia interviews John Foster, author, artist, former engineer, and lifetime Contactee. Featured speaker at UFO conferences, interviews include a three hour national radio broadcast of the Jeff Rense show, Sightings. John has participated in studies sponsored by prominent Universities, including doctoral studies. 'Eminent Discovery' reveals what happened and how it happened in some detail...while his second book, 'To Earth From Heaven' draws you into the complex depths of probable and possible meaning. “A battery of approximately 13 different types of strange craft repeatedly manifested at various times over a period of at least 46 years, about 4 of them being the most common. And the human-like men and the lizard-like beings also appeared to be the same or very similar over that same period. I discovered...some of the craft had historic and modern significance, some represented in historic religious paintings and some appearing to have connections with modern scientific or military development projects...yet, I had not encountered them previously in situations apart from my so-called UFO encounters. The men and beings, likewise had historic significance as related to the information they gave me. This included connections to ancient and modern brotherhoods, religion, scientific inventors and inventions, ancient gods, Native Americans, modern orphans, The Masonic Order, the Mormon story, the changing of humankind and much more. At this late date, it is undeniable that UFOs are real. This has been established through multiple witnesses, photographs and video for more than six decades. John has discovered, through a lifetime of experience, that the world is being prepared for Cosmic contact. At the top of the show, "Anastasia's "High Strangeness"